Fairchild's Pheasant Farm in West Liberty, Ohio. Trials for March 26/27, April 16/17, Sept 17/18 and Oct 15/16 Open and Dbls Flushing on Sat, Open and Am Pointing on Sun, two events each day if time allows. Doubles weekend Nov 19/20 Flushers on Sat, Pointers on Sun. Three events each day. For those not familiar, these are walking, live ammo events designed to objectively evaluate which dog and handler team can find, bag, and retrieve birds most efficiently. 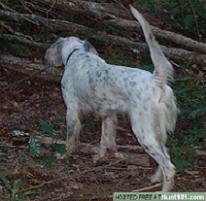 Am Pointers do one run of three birds and have 6 shells and 15 minutes to achieve this. Points awarded for the dog pointing the birds, for the handler bagging the bird, for retrieves to within one step, for shells not used, and time remaining. Dog must not have turned 3 by Jan 1 to run as Am. Open dogs do this twice and add the scores for highest totals. Doubles is 6 birds, two handlers. Flushing is scored similarly with points for the dog flushing instead of pointing. Feel free to post questions here or call/text me at 937-631-0258. Fall dates for Sept 17/18, Oct 15/16, and a Doubles only weekend Nov 19/20. Come see who is having all the fun!